As autumn leaves and pumpkins turn into turkeys and holiday fanfare, it’s time to start making your plans for the upcoming TCEA Area Robotics Contests. This is the pivotal first step that every school robotics team must take in order to qualify for the State Robotics Contest held each spring. Twenty area contests are held around the Lone Star State and only the first and second place teams from each area, plus a few wildcards, will advance to the State Contest held in central Texas. Robotics is a fantastic way for students to develop STEM skills with hands-on collaborative projects. TCEA’s robotics contests gives students in the 4th-8th grades (Intermediate competition) and 8th-12th grades (Advanced competition) the chance to design, plan, redesign, construct, assemble, invent, reinvent, write, present, and compete to see who can create the best robot! There are actually two different contests in the competition. In the Inventions contest, students have to create a robot that will solve a real-world problem. This means they are diving deep into problem solving and coming up with manageable solutions, all while practicing their coding skills. Students in this contest also have to present their final product to the judges, demonstrating their ability to market and confidently talk about their creations. The competition also offers the Arena contest where teams are given the same challenge to solve. On site at the contest, students will compete for points in the arena to see how many of the required tasks their robot can complete within the time limit. If this is your first time entering the TCEA Robotics Contest, then everything is new! You’ll want to read all of the games manuals very carefully to make sure your team adheres to all of the rules. You’ll also need to make sure you have the right equipment. The LEGO EV3 or NXT robotics kit is used for the TCEA Robotics Contests. If you’re a seasoned TCEA Robotics veteran, you’ll still want to read the Challenge manual very carefully. This year’s challenge is called Mastering Mars. The robots will be tasked with preparing the Martian environment for human settlement. However, there are a few surprises in store! A secret task will be required to be completed on site after the first round. This task will need to be completed to compete in the second and third rounds of competition. You can find all the details here, so get ready for some excitement, unexpected twists, and lots of critical thinking and fun! There are also a few general rule changes. Students in grades 6-8 may now choose to compete in the Advanced competition level. Students from grades 4-5 must still compete at the Intermediate level. For more info on the general rules and any changes, please see this website. Where Do I Sign Up for the Robotics Contests? 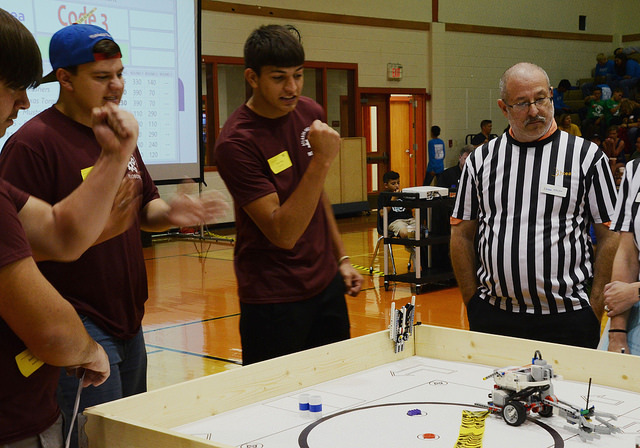 If you’re ready to take your robotics skills to the next level and compete in an Area Contest, there are some important steps you must take. Determine what area you belong to. To determine your area, find out which Education Service Center you belong to. Your area number correlates with your ESC number. 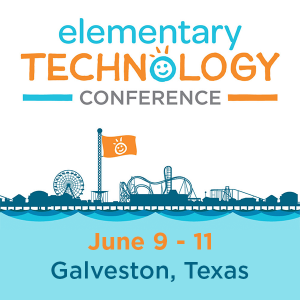 Become a member of TCEA. The sponsor for each competing robotics team must have an active TCEA membership for the duration of the contest season. Membership is $49 and comes with many benefits all year long. Determine the contest and division in which you will compete. Students have the choice of competing in the Arena Contest or the Inventions Contest. Read up on both and choose the one that is the right fit for your students. Registration for the Area Robotics Contests is open from November 27 until December 8. The registration fee is $50 per team. The Area Contests will be held between January 6, 2018 – January 20, 2018 in your local area. Check here for the specific date and location of the contest in your region. Is your team ready to compete and demonstrate the collaboration, critical thinking, and creativity it takes to be the best robotics team in the state? If so, start planning now and get ready to register on November 27!